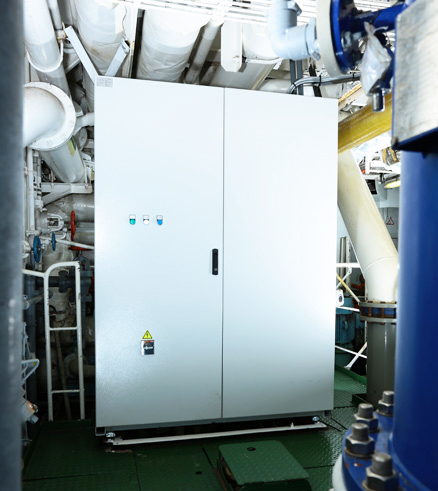 Alfa Laval PureBallast 3 is the third generation of the leading ballast water treatment technology – and the first solution to be revised G8 ready. It offers unmatched performance in all waters, fresh, brackish and marine. Over 1,700 PureBallast systems have been sold to date, including hundreds installed as retrofits. It’s good to know your ballast water quality gives your vessel free movement across the globe. And the peace of mind knowing help is on hand wherever you are from our partners across the globe. We offer you large-scale production resources, a comprehensive service offering, well-stocked suppliers all over the world, and clean ballast water of the highest standards. 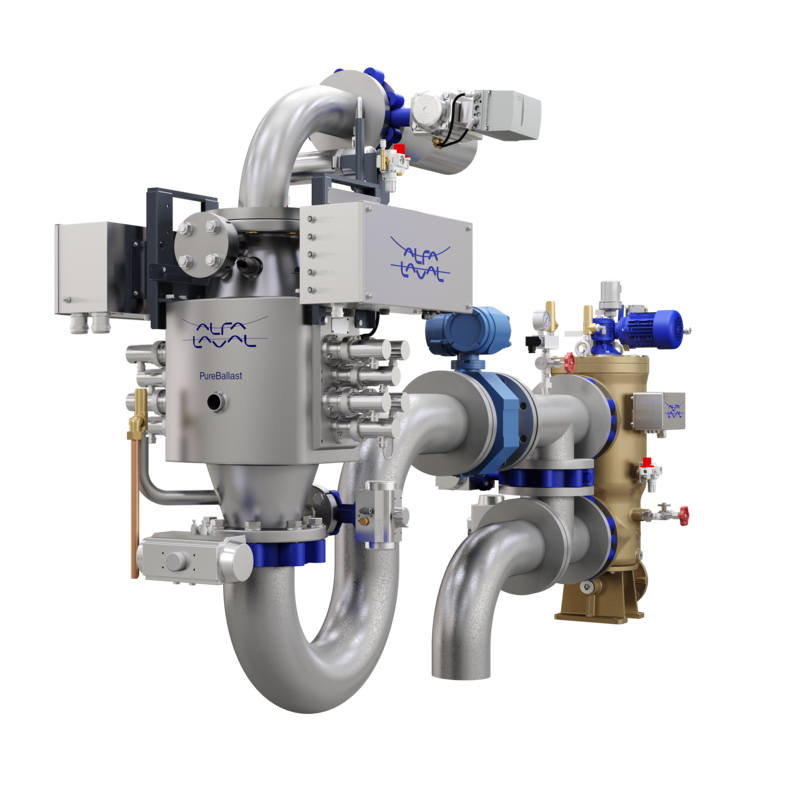 Alfa Laval PureBallast 3 is effective for all aspects of ballast water treatment, from biological disinfection performance to footprint and power management. Its inline construction and flexible design suit almost all vessels. Single systems handle ballast water flows of 32-3000 m3/h, while multiple systems can be used for even larger capacities. 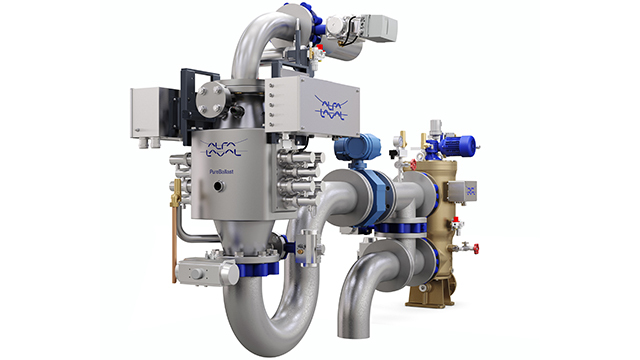 Alfa Laval PureBallast 3 is the third generation of the leading ballast water treatment technology – and the first solution to be revised G8 ready. Over 1900 PureBallast systems have been sold to date, including hundreds installed as retrofits. Alfa Laval PureBallast 3 has the backing of a well-prepared supplier. 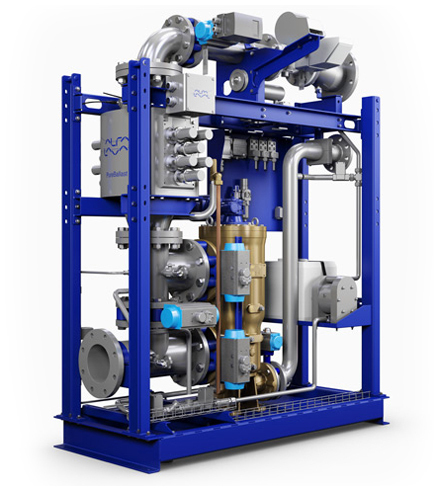 Large-scale production resources, strong partnerships and a well-developed service offering make Alfa Laval the confident choice in ballast water treatment. 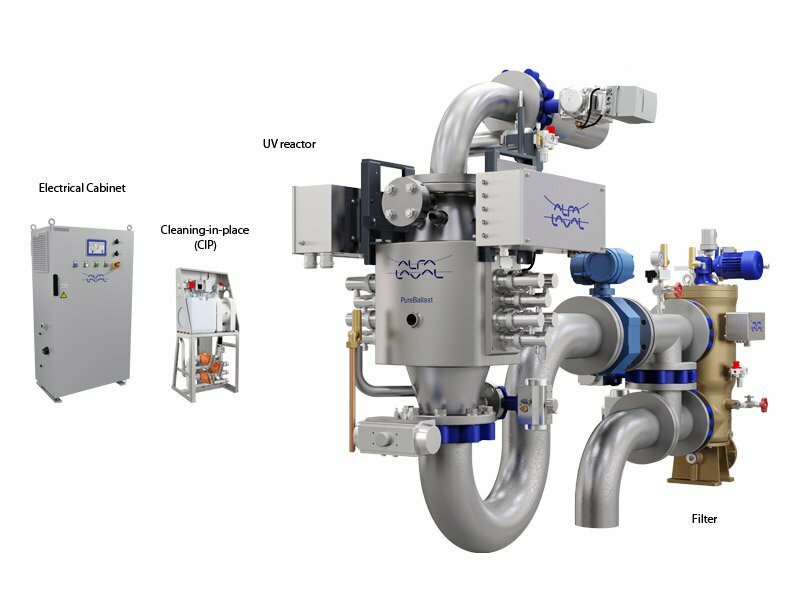 Alfa Laval PureBallast 3 uses an enhanced form of UV treatment, developed in cooperation with Wallenius Water. It performs without the addition of salt or chemicals, even when operating in fresh water. Biological disinfection, which is the main treatment process, occurs within an enhanced UV reactor. The reactor has a flow-optimized interior that ensures high turbulence and concentration of the UV dose. The medium-pressure UV lamps within the reactor employ specially designed lamp sleeves of synthetic quartz. These unique sleeves support transmission of a broader wavelength spectrum and provide more UV light during disinfection. Combined with the reactor's internal design, this ensures optimal UV dosage and low energy consumption. 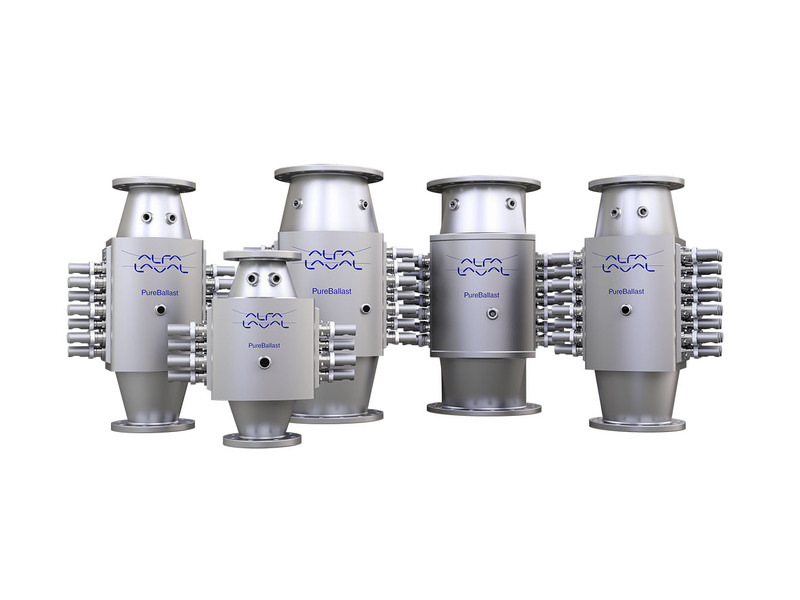 Combined with the reactor, the effective basket filter design enables full-flow treatment of fresh, brackish and marine water with UV transmittance as low as 42%. The PureBallast 3 product portfolio was developed to meet the specific needs of a variety of vessel types and applications. Alfa Laval PureBallast 3 Compact Flex is ideal for most vessels, delivered as loose components to make installation easier, flows 32-1000 m3/h. 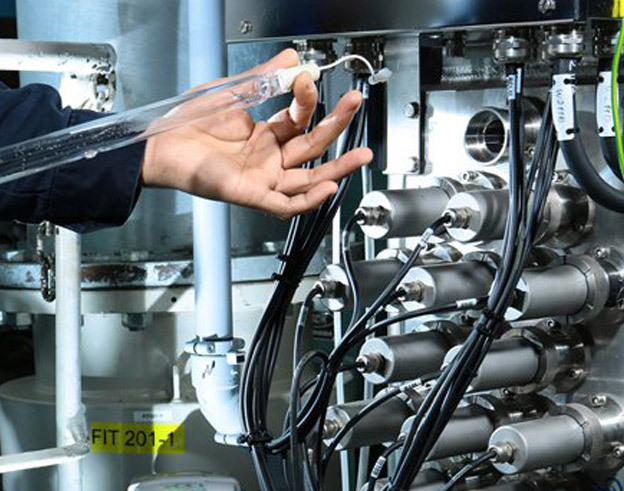 PureBallast 3 Compact Flex is a highly flexible inline system with a minimal footprint. 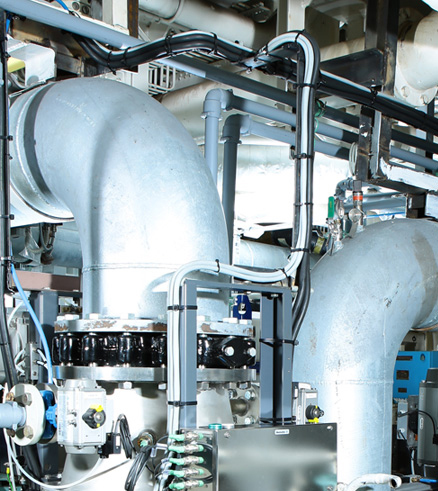 The treatment stages are integrated into the ballast water piping as inline components. Using simple plug-and-play contacts it reduces engineering and installation time and cost, making it the perfect fit for most installations. Additional components are support systems that can be flexibly placed for an optimal design. There is a broad range of auxiliary equipment to support integration into any vessel including backflush pumps, sampling points, valve packages and remote control panels. PureBallast 3 Compact is a plug-and-play ready module that supports compact installation and flows of 32-300 m3/h. Alfa Laval PureBallast 3 Compact can be delivered as a skid-mounted module making it compact and easy to install due to minimized pipework. The skid has a minimal footprint and is connected via simple plug-and-play contacts. For flows of 32-300 m3/H. All components are incorporated into the skid, apart from an electrical cabinet that is flexibly placed. This cabinet is a combination of the lamp drive cabinet and control cabinet of larger systems. There is a broad range of auxiliary equipment to support integration into any vessel, including backflush pumps, sampling points, valve packages and remote control panels. PureBallast 3 for large flows and Ex-design configurations are available for 250-3000 m3/h, and even larger flows with multiple systems. PureBallast 3 is available in a range of Ex configurations including Zone 1, IIC and T4 compatibility. Ex designs are simplified by the flexible placement of the lamp drive cabinets, which can be located outside the hazardous zone and up to 150m away from the reactors they serve. Certain standard features are also relevant to Ex systems. For example, reactor temperature and level sensors are connected via safety relays that bypass the PLC, preventing their signals from being missed in the unlikely event of a PLC malfunction. PureBallast 3 performs in the background, running in IMO-regulated waters at just 50% of its potential operating power in most situations. It can be ramped up to full power for the most difficult operating scenarios. PureBallast 3 is a fully automated system. When initiated, it undergoes a brief start-up sequence. When ballasting begins, incoming ballast water first passes through the filter stage. This removes any larger organisms and particles, improving the quality of the water for treatment. The filter stage benefits operation in cloudy coastal waters and fresh water. After filtration the water continues through the reactor stage, where it is disinfected by means of enhanced UV before entering the ballast water tanks. 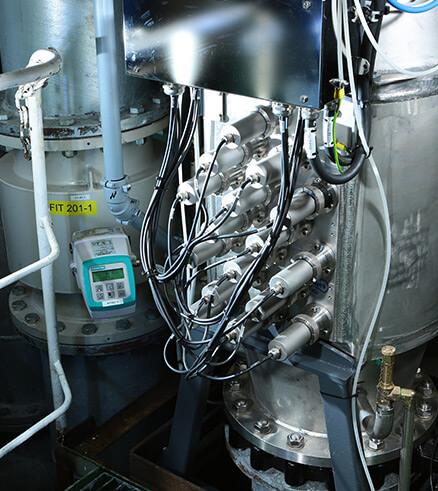 Once ballasting is complete, an automatic Cleaning-In-Place (CIP) cycle cleans the reactor. This cycle is prompted immediately after ballasting and should be performed within 30 hours. Both the reactor and filter areas are filled with fresh water before shut-down. Deballasting repeats the ballasting process with no need for the filter stage (as the water has already been filtered), It has the same start-up, CIP and shut-down sequence. Repeating the reactor stage eliminates potential regrowth of microorganisms that may have occurred during transit. This ensures water is disinfected to the established limits before discharge at the deballasting site. More than 1,600 PureBallast systems have been sold to date. Hundreds of PureBallast systems have been installed as retrofits at a diverse range of shipyards. PureBallast been chosen for a diversity of vessel types: container ships, tankers, bulk carriers, offshore supply vessels, naval vessels and more. Alfa Laval's PureBallast 3 offering lets you take full advantage of opportunities in meeting IMO and U.S. Coast Guard (USCG) legislation while also being revised G8 ready. PureBallast 3 is type approved by IMO for use in fresh, brackish and marine waters. IMO-certified operation makes the most cost-efficient use of the system's power management and other capabilities. It is ideal for the majority of vessels. PureBallast 3 systems with USCG type approval are available for vessels that need to discharge ballast in United States waters. These systems come in two different versions to address the operational needs of specific vessels. Standard USCG-certified systems offer the same capacities as IMO-certified systems. PureBallast 3 gives you flexible options if you need to deballast in United States waters. Vessels that initially installed PureBallast 3 for use in IMO-regulated waters can easily upgrade to a version of the system with type approval from the USCG. A vessel that does not offer the potential for USCG type approval will be difficult to sell to any buyer who wants to operate in this key market. While marine and brackish waters are the focus for most ship owners, three-water certification is needed for more than rivers, the Baltic Sea and the Great Lakes. Many ports considered brackish are closer to fresh water. PureBallast 3 can treat fresh water without salt or chemical dosing, making entry no problem. Some ports have near-zero temperatures or low-clarity water. Although UV transmittance levels in harbours usually range from 90% down to 60%, they can sometimes fall lower. PureBallast 3 handles liquid water at frigid temperatures and can perform at full flow where UV transmittance is as low as 42%. The ability to ballast or deballast efficiently is important to your vessel. However, many UV-based treatment systems must reduce their flow in harbours with low-clarity water. This is a result of low UV transmittance which may be further impaired by ineffective UV lamp cleaning. PureBallast 3 can operate at full flow where UV transmittance is as low as 42%. It stays efficient using automatic Cleaning-In-Place (CIP). This removes UV-impairing build-up without effort from the crew or risk of scratching the lamps. When sailing under most conditions in IMO-regulated waters, PureBallast 3 can operate at half its potential power, ramping up only for the most difficult low-clarity waters. Now that the IMO Ballast Water Management (BWM) Convention has been ratified the requirement will begin with the first vessel renewal survey after September 2019. If your PureBallast system has been inactive for 12 months or more, it may no longer perform as expected, or even have developed faults that can lead to damage at start-up. We recommend recommissioning to prevent costly incidents and ensure performance according to type approval. We start with a status check of your PureBallast system. This determines the scope and timing of the recommissioning work, so that we can prepare in advance and have any necessary parts on hand. Based on the results of the status check, we perform any needed corrections, adjustments, updates or optimizing software upgrades. Afterwards, even if no faults were found, we perform a full system test to verify your system's performance. And we provide operator training while on board to ensure that your crew is ready to use the system. PureBallast 3 is type approved by both IMO and the U.S. Coast Guard (USCG). All generations of PureBallast have IMO type approval. PureBallast 3 is explicitly certified for use in all water types: fresh, brackish and marine. When comparing IMO type approval certificates for different ballast water treatment systems, it is important to note the certification date. Certificates issued before 2014 do not state the system limitations. The USCG type approval for PureBallast was issued in December 2016. It allows PureBallast 3 to discharge ballast within United States waters and explicitly certifies the system for use in all water types: fresh, brackish and marine. Type approval testing was performed using the CMFDA/FDA (staining) method and the same hardware, power consumption and flow as the IMO-approved version of the system. PureBallast 3 can be used for as long as five years from the vessel's compliance date (either original or extended). PureBallast 3 is both an accepted AMS and USCG type approved system. If the AMS operation meets a vessel's operational needs, whereas the type approval does not (example given the 72 hours hold-time is a restriction), then the AMS can be used (I.e. system can be operated in IMO mode). Get more information or a quote for your specific vessel.